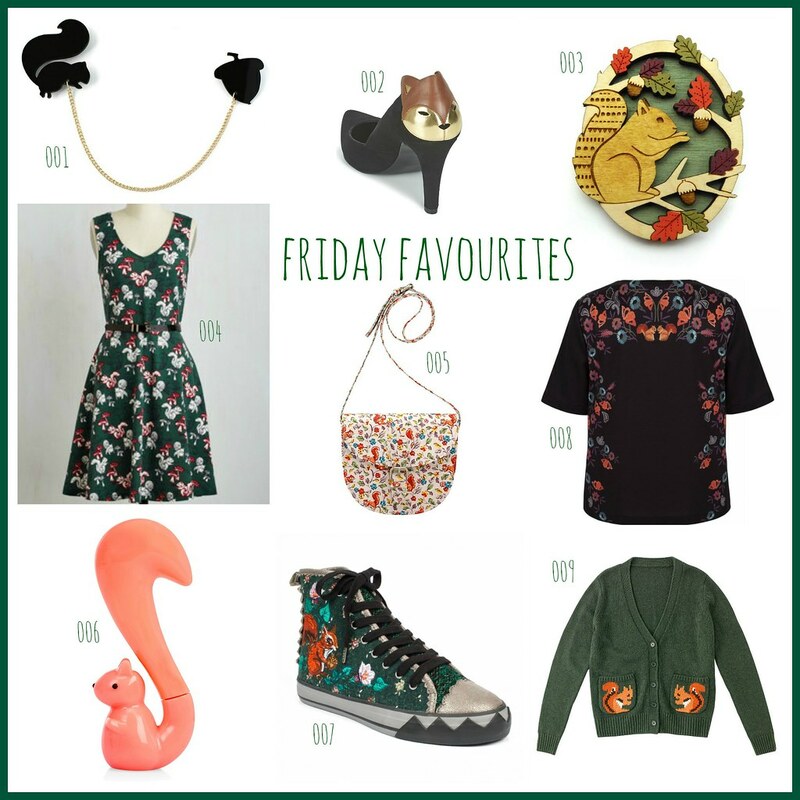 t*rexes and tiaras: Friday Favourites 167.. The other day, I was watching a movie on TV with adverts and within the few minutes of advert break, I counted not one, but three adverts which featured a squirrel. Which got me thinking about the number of squirrel things I've noticed over recent weeks (answer: a lot) and resulted in a squirrel-tastic wishlist. I think my favourite item from the lot is the pair of ICED squirrel trainers (I know, who even am I?!). I can see them being perfect with a tutu skirt and coloured tights for Autumn walks through the leaves. I know that the bag (005) is supposed to be for kids, but I'd totally use this! Also how perfect would this pen be to brighten up any desk? SQUIRREL! I hope the cat blouse is the amazing music print one! Squirrels! How cute :) I've not really seen many things with squirrels on, maybe it's becoming the new thing like foxes and owls! I think perhaps it is - woodland animals= popular lately. Yeah, that's such a cute brooch as well :) So many CK goodies.